Next up, in the category of "Ludum Dare games that are now 'full' games," here's The Sun and Moon. 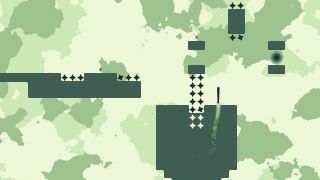 It's a platformer in which you can go through the platforms—flipping gravity to build momentum, and thus increasing the height of your jump. Here, watch the trailer to see what I mean. I really enjoyed the Ludum Dare version, as did free games aficionado Tom Sykes. Hopefully this expanded version can further push and iterate on its clever core idea. We'll find out in a few hours, when the game launches onto Steam.